Looking for a special card to give to your loved ones this Christmas? These cards are crafted with you in mind. Simple, special, personal and plainspoken – with their beautiful designs, these cards do all the talking. In packs of 10, sustainably sourced. 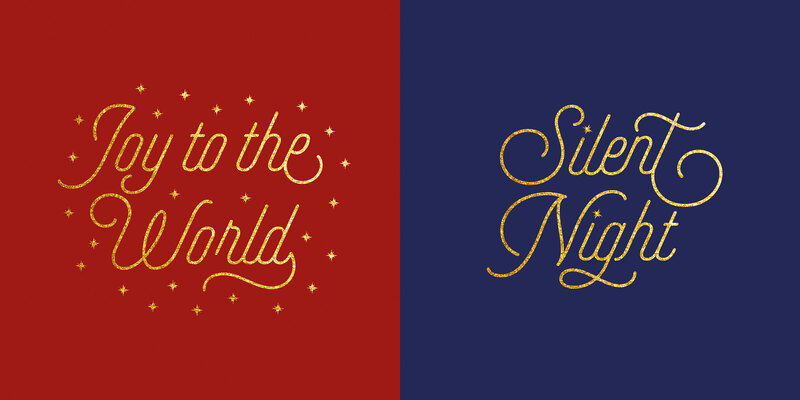 Comes in two designs, one over a solid blue background with golden 'Silent Night' text and another featuring a red background with accompanying golden 'Joy to the World' text.